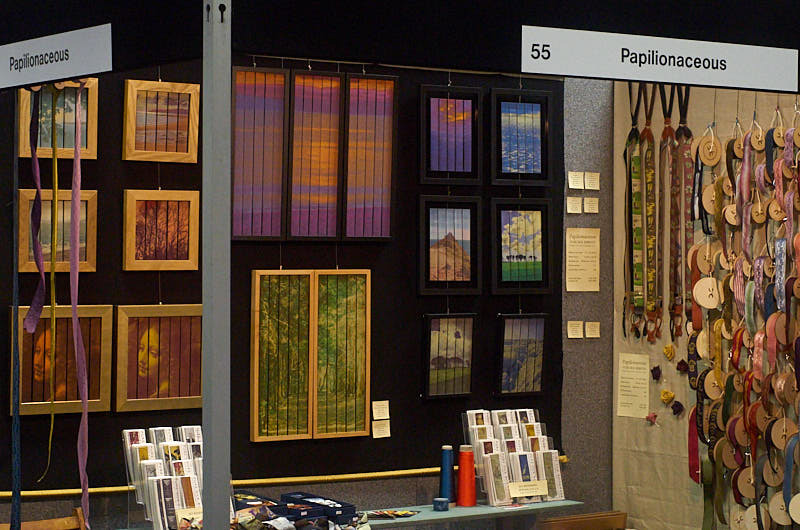 Many thanks to everyone who stopped by at the West Country Quilt Show in Bristol, lots to talk about, lots to think about! We will be posting images of all the ribbons that were on show for those who may have missed them (and those who would just like a reminder). 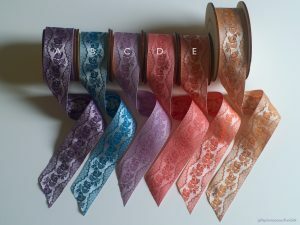 Here is the ‘Poldark’ ribbon, more to follow! This ribbon became known as the ‘Poldark’ ribbon after the blue and white version was worn as braces by Cap’n Ross in Seasons 1 & 2 of the BBC series. 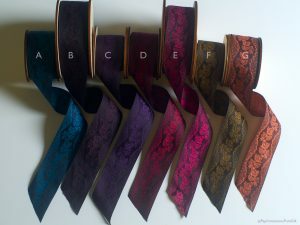 A ‘self-patterned’ ribbon where the design uses the contrast between the warp and weft colours. The paler set are woven on a natural silk warp and the darker set on a black warp. The stock that we have is what you see here and when it’s gone it’s gone. 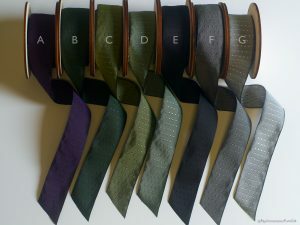 After that it would need to be woven to order. Originally inspired by an Elizabethan ribbon on a costume in the Victoria and Albert museum. It was later to appear in a pale cream worn by Emily Blunt in the film ‘The Young Victoria’. It also appeared in a sea blue worn by Lady Sybil (Jessica Brown Findlay) in season 1 of Downton Abbey.